If your home or business was constructed prior to the mid-1980s, there’s a good chance that asbestos products were used to build it. Most of the time, these products can’t be seen easily, and you might not even know they’re there. 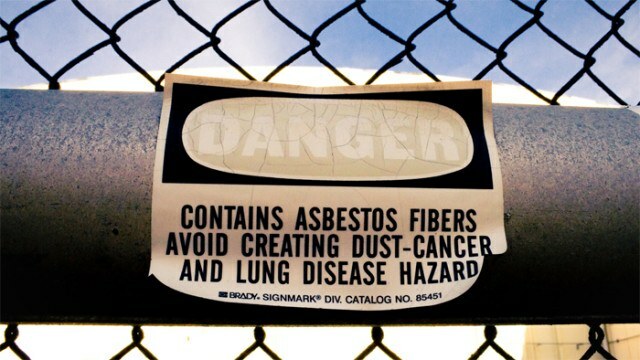 But if you do happen to come across asbestos while you’re renovating or making repairs, there are specific measures you’ll need to take to ensure that you’re safe from the health risks that asbestos can present. The actions you should take depend on what kind of product you’ve found and what you’re doing in your building, but it’s relatively easy to protect yourself from this hazard if you follow some simple rules. First thing’s first: if you see asbestos in your property, don’t touch it. Some asbestos products don’t pose any threat at all if they’re left intact. They might be present in cement sheeting or under tiles in the walls, ceilings and floors of your building, and as long as there isn’t any evidence of deterioration or breakage that could expose them, there’s usually no need to worry at all. But if you’ve got asbestos that you can see—whether it’s because you’ve begun demolition prior to renovating, or because areas of your property have fallen apart or broken—you need to act fast to avoid the risk of exposure. Some asbestos will look intact, but will become friable on contact, leaving you exposed to the threat of inhaling asbestos fibres. The best thing you can do in any case is contact an asbestos removal professional, who will come and assess the situation and organise removal or management of the asbestos. You’re legally entitled to move small volumes of reasonably safe (non-friable) asbestos yourself, as long as you follow the rules set by the government. One of these rules is wearing specially designed personal protective equipment (PPE), including thick, disposal clothing protectors and masks that prevent inhalation of asbestos fibres. This is very important: any exposure to asbestos at all can cause you to suffer asbestos-related disease in the future. You must also meet the legal restrictions on how much asbestos you are allowed to remove in a certain timeframe, do reduce the risk of you or neighbouring communities being exposed to asbestos. 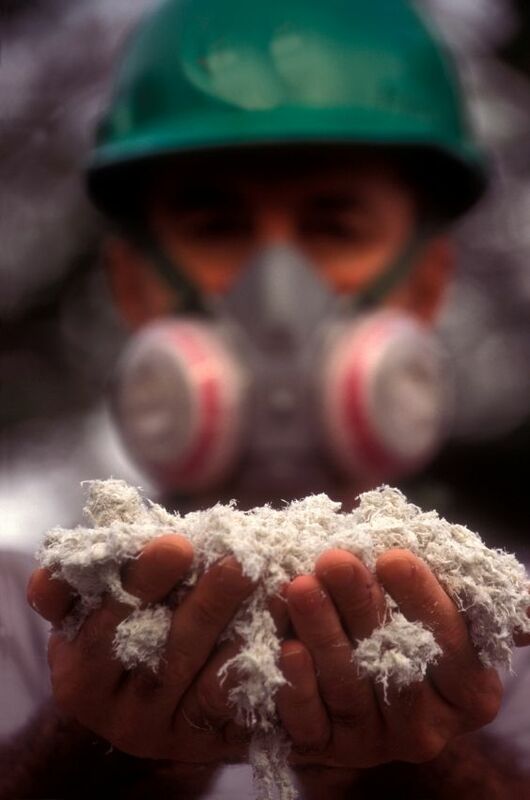 Asbestos removal and safety precautions in Brisbane also include responsible disposal of asbestos products. There are large fines associated with not meeting your obligations under these rules. You are never allowed to remove friable asbestos, and if you see it, you must call a professional asbestos removal service immediately. The area you’re removing asbestos from must also be within 10 m2, and you are not allowed to remove asbestos for longer than one hour in any one-week period. Your asbestos waste must be double wrapped in thick plastic bags, labelled correctly, and disposed of at an approved facility. This process can often be difficult. Unless you’re trained in and familiar with these responsibilities, asbestos removal is best left to professionals who know the safest ways to remove and dispose of asbestos. Your property’s asbestos products might well be safe enough to leave intact over the long term. But it’s important to identify the products that are there, and exclude them as potential threats before you make the decision to leave them in place. Asbestos removal professionals can inspect your property and identify all the sources of asbestos that are present in its ceilings, floors, walls, bathrooms, kitchens, exteriors, and even pipes. Identifying the products allows them determine your immediate risk of exposure, and through assessment of the building’s integrity helps to assess the level of threat to you now and in the future. Once your asbestos removal professional has this information, they can develop a safe and responsible management plan for your building. It might detail asbestos products that must be removed immediately, or asbestos products that are safe to leave in place and the ongoing monitoring they will need to keep you and the rest of the community safe. You’re legally allowed to undertake some asbestos removal tasks yourself. But there are heavy consequences of failing to manage asbestos properly: leaving aside the substantial financial impact of fines, the morbid and fatal health conditions are a good enough reason to not take the risk. It just doesn’t make sense to expose yourself, your workers, or your family to such a serious threat. In these situations it’s always best to rely on trained professionals for asbestos removal: Brisbane businesses and residents can call Excel Asbestos any time for assistance, and we’ll be there with the right advice and solutions for your urgent asbestos removal. Gold Coast residents will be happy to know we also service the coast to Coolangatta and beyond, so get in touch for the safest and most reliable asbestos removal service in the region.